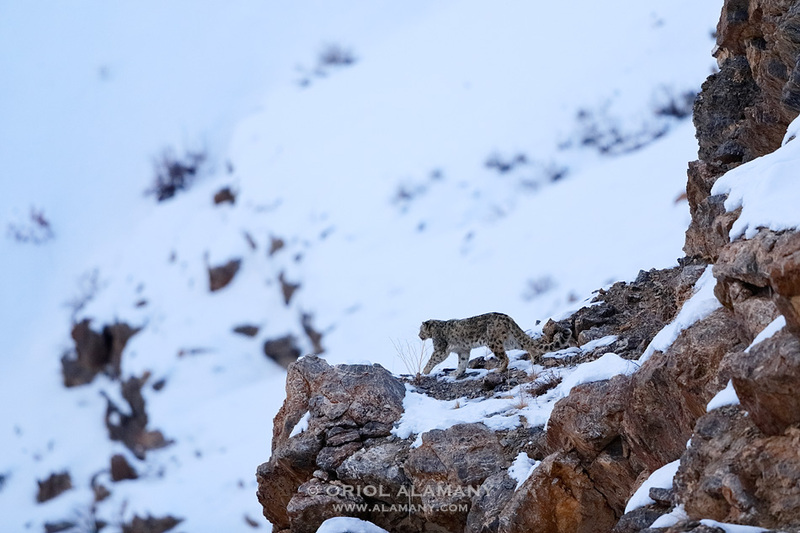 In a winter evening a female Snow Leopard (Panthera uncia) begins it’s day after resting for hours on a cliff ledge on the Himalayas, at an altitude of 4,100 meters. I was shivering because of the cold, but suddenly the most sought-after photograph of my life as a nature photographer became a reality. Being the mountains and the felines two of my favorite subjects, it was logical that at the end both coincide on a photographic project: The search for the scarce and elusive Snow Leopard. Amazing... no more words needed. An absolutely beautiful picture ! I guess you forget about the cold on that particular moment ! What a great sighting.